Recent Events, Document Releases, and Leaks Reveal Disclosures From World Governments And U.S. Government Plan For Disclosure Of The UFO/UAP Phenomenon. 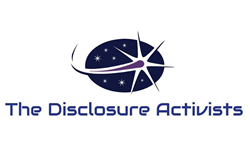 The Disclosure Activists are an international consortium leading an effort to uncover and disseminate the truth regarding extraterrestrial visitation going back 70 years. This is a widely misunderstood topic, despite a plethora of physical and forensic evidence regarding the extraterrestrial UFO/UAP (Unidentified Aerial Phenomena) issue. The historical stance of widespread denial and misinformation has shifted. Co-founder Russell Calka states: ‘Recently there is a systematic effort from within the U.S. and other world governments to release this information to the public’. Senior strategic adviser to The Disclosure Activists, Victor Viggiani, states: ‘All of the evidence that has been accumulated by researchers, military witness testimony, and acquired from declassified government documents over the last 70 years points to three very basic conclusions — the planet Earth has been and is being engaged by off-world civilizations. Secondly — this information has been hidden from the public in a well orchestrated and systematic embargo on the truth. Thirdly, governments know these conclusions are true — researchers of this topic know these conclusions are true, and it is now time for humanity to learn these truths’. The Disclosure Activists contend that Disclosure is already underway. Earlier this month, the Spanish Ministry of Defence released a cache of previously classified UFO/UAP documents, similar to documents released by the Central Intelligence Agency (CIA) in January 2017, and similar to other document releases from governments in the UK, Chile, and Mexico. NASA reported the discovery of additional habitable exoplanets (bringing the total to well over 3000) and just this month, former President George W. Bush alluded to his knowledge of the UFO/UAP phenomenon in an interview on late night television with Jimmy Kimmel. There have also been email leaks, via Wikileaks, that indicate this topic is of substantial interest to government and military, as they prepare citizens for disclosure of extraterrestrial visitation. Co-Founder Dr. Lisa Galarneau states: ‘Through these government disclosures, scientific discoveries of exoplanets, leaks, and hints from insiders, the public is being prepared for official announcements regarding extraterrestrial visitation. This awareness building campaign is deliberate in its attempt to prepare humanity for formal Disclosure. This is an important step towards open contact with extraterrestrial intelligences who have not shown hostile intentions and could help humanity with some of our most intractable problems, including energy, climate change, pollution, and resource scarcity’. A more optimistic approach to the question of extraterrestrial intelligence is expressed in The Disclosure Activists’ mandate, which includes a manifesto that outlines the mission and activities. The Disclosure Activists also acknowledge that some UFO/UAP and other contact activity is sourced in secret projects run by governments. Truth and transparency is necessary in any functioning democracy, especially regarding extraterrestrial UFO/UAP. The Disclosure Activists pursue unification of various Disclosure groups and investigators, petitions to governments, calls for investigations and hearings, Freedom of Information Act (FOIA) requests, and education/outreach to press/media and the broader population. Citizens require information and research in a historical context to prepare for the forthcoming government announcements of extraterrestrial visitation. Disclosure is imminent. Press and media should be responsible for accurate and open research and reporting of the plethora of UFO/UAP and contact evidence, as well as integrating the history of disclosure that has been unfolding for 70 years. We are not alone in the cosmos and we never have been. Citizens have a need to know. Do you want to know how a real ‘ufo’ looks like? NASA Promise To ‘Find Alien Civilizations By 2025’ – The Drip Feeding Of Disclosure? Disclosure of classified X documents and archaeological Aztec origin objects found in Ojuelos de Jalisco, Mexico.